Womans hand leading a man forward to the adventure in the city. Follow me concept. Portrait. Outside shooting, windy weather. 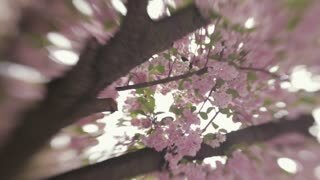 Lensbaby, close up view, slow motion. Young European couple hugging and kissing each other. Forever in love. Love is in the air. Portrait, outside shooting, windy weather. Lensbaby, close up view, slow motion. Spring blossoms. Blossom on a Japanese cherry tree. Spring landscape. No people around. Outside shooting, windy weather. Spring atmosphere. Camera stabilizer shot, lensbaby, close up view. Busy young lady is going down the street using her mobile phone. Windy weather. Jeans wear. Cars, hurrying people and urban buildings on the background. Female portrait. Outside shooting. Good-looking smiling long-haired woman holds male hand leading him down the city street. The girl leading a man forward. Follow me concept, love story, romantic atmosphere. Man follows cheerful attractive smiling young woman leading him to the center of old town. Follow me concept, trust, adventure time. Having fun, positive emotions, joyful mood. Beautiful smiling long-haired woman holds male hand leading him down the city street. The girl leading a man forward to the adventure. Follow me concept, love story, romantic atmosphere.